The second lecture I attended last Monday in Sligo at the Yeats Summer School was given by the Director of the school James Pethica. He teaches Irish Studies and Modern Drama at Williams College. He has published several books on Yeats and is currently at work on the authorized biography of Lady Gregory. His lecture was entitled Yeats's lyric drought, 1903-1908. He began by telling us that Yeats wrote only three lyric poems - 38 lines - between 1903 and 1907. That's nice to know when a month passes by and you haven't even finished one new poem. The usual reasons given for this "fallow period" include disappointment at the marriage of Maud Gonne and his preoccupation with the business of the Abbey Theatre, he did write plays during this period. James Pethica argued that the real reason had to do with the poet's shift in creative focus away from his use of folklore. This happened partly because he realised that he was not as good a scholar as others involved in the field - Synge, Hyde, Lady Gregory - and did not have the same application and empathy with the people who knew the folklore. George Moore wrote of Yeats accompanying Lady Gregory on her folklore collecting expeditions but staying outside the cottage while she went inside, talked with the people and wrote down their stories which Yeats later used. 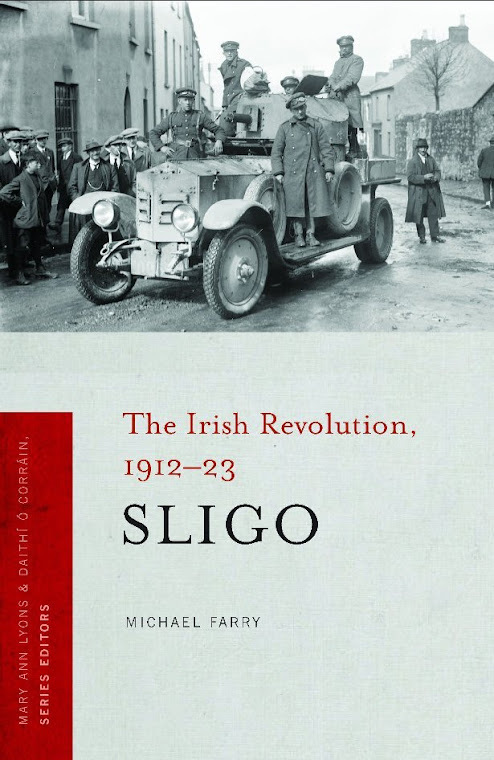 Yeats comes out of this period with a new attitude towards his writing and towards the people. His love poetry now is concerned with a "She" not a "You" as previously and he is more inclined to see himself as apart from the common man. If you make a compost bin with timber, the timber itself gets composted in the end. 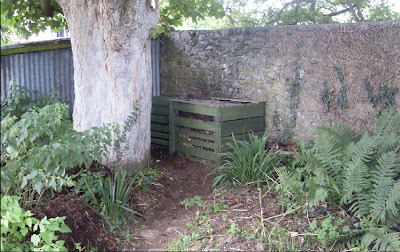 That's what happened to my two compost bins under my sycamore. These had to be replaced during this summer. Now with a hint of autumn in the air - Back to School posters in the shops - I'm glad I have the new bins in place. I thought of buying plastic compost bins but was talked out of it. I'm glad. These look better. Some bits of wood from McGeogh's here in Trim, some rough measurements, a few coats of preservative and there they are, behind the tree, beside the ferns, near the nettles and briars fluttering and dancing in the breeze. That's the first big garden project done this summer/autumn, one more to go. 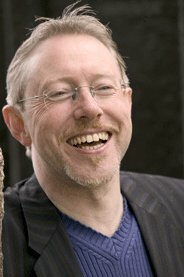 Poet Dave Lordan will judge the Dromineer Poetry competition and author David Rice will judge the Short Story Competition. Closing date for receipt of entries is August 13th 2010. 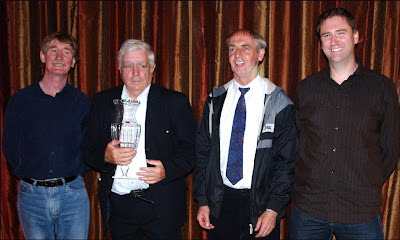 I won second prize at Dromineer in 2008 and was very impressed with the festival and the place. One of the hidden gems of Ireland. Must enter this year. I met Dave Lordan some years ago when I had my first poem published in Crannog - he had one in the same issue and had just won the Patrick Kavanagh collection prize. 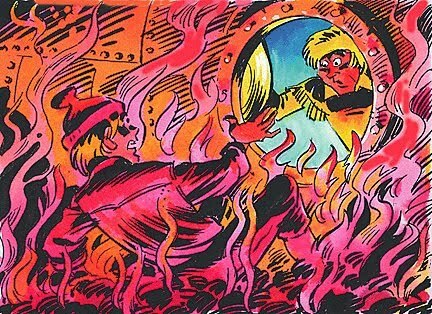 His Invitation to a Sacrifice has just been published. The opening lecture in this year's Yeats Summer School was by renowned Irish scholar, Professor Denis Donoghue (New York University), entitled Yeats: Trying to be Modern. A large crowd of students, Irish and foreign, were entranced by a master lecturer who ranged with ease over a range of texts, characters and poetic references with the odd swipe at a critic or poet thrown in. It's impossible to give a summary of the talk so I won't but the basic question considered was Is Yeats a modernist poet? and Donoghue's answer was that while Yeats is a great modern poet he is not a modernist in the strict sense of that word. He traced the poet's move from the symbolism and the refusal to acknowledge common life of his early work to the letting in of the bad outside world which started around 1903 with In The Seven Woods collection. He spoke a lot of Yeats' editorship of The Oxford Book of Modern Verse and its wonderful introduction - Then in 1900 everybody got down off his stilts; henceforth nobody drank absinthe with his black coffee; nobody went mad; nobody committed suicide; nobody joined the Catholic church; or if they did I have forgotten. In this introduction Yeats spoke of that cult of sincerity, that refusal to multiply personality which is characteristic of our time. Yeats himself didn't value sincerity in poetry very highly according to Donoghue and delighted in expressing different viewpoints and attitudes sometimes in the same poem. Famously Yeats opens the Oxford Book of Modern Verse with a prose piece by critic Walter Pater rearranged by Yeats as free verse. (So what is poetry?). See it here. 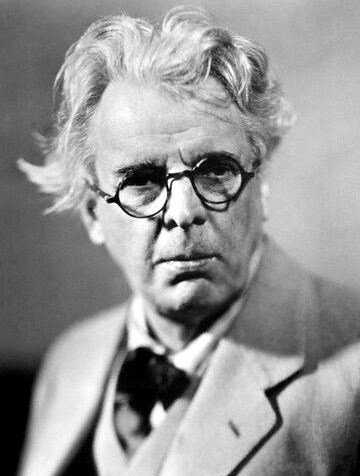 Donoghue analysed Yeats' use of the word modern, ranging from a term of abuse - this filthy modern tide - to a neutral term - in the best modern way. And much more! Denis Donoghue has written on Jonathan Swift as well as on Yeats and a range of American poets. Thank you again for your submission to Modesty Press. We enjoyed reading your work and would be proud to publish your poem 'Journey Back' in the inaugural issue of A Modest Review. I'm delighted with this acceptance. No idea who else will be included or anything about style, size etc of the magazine - it is the first issue, but nice to be in the inaugural issue. The poem is the one that won second prize at the Goldsmith Festival this year - the one about spreading all the clothes I ever wore along the road from Trim to Carrowloughan with one tiny change suggested by one of my blog readers - thanks!. Just back from a quick two days in Sligo. The black and white Sligo GAA flags look very forlorn after the Connacht Final defeat and the bad defeat on Saturday. Ah well there's always next year! Attended the two morning lectures at the Yeats Summer School this morning - more later maybe. Then the prize giving for the iYeats poetry competition. This was held in the foyer of the Hawk's Well Theatre just after the second lecture and many of the attendance remained to hear the winning and commended poems being read. The large audience got a real treat. The theme of the competition was A Sense of Place and the poems read interpreted this in all kinds of wonderfully different ways. Neither of the judges, Rita Ann Higgins or Vincent Woods could be present. Jane Clarke, pictured above reading her poem, was the winner and she had two poems commended also. 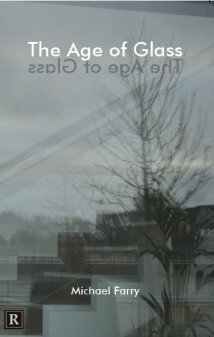 These were three very different reflections on places, a Galway forest, a coastal lighthouse and Gaza City. Very accomplished and a well deserved victory. The Emerging Talent section was won by Matthew Ryan Shelton who lives in Texas so his poem Nostos was read by Richard Halperin. Other highly commended who were present were Lizann Gorman: Let Us Take The Chair; Mags Treanor: View From A Ditch; Shirley McClure: Labels; Diane Myers: Beating the Bounds; Richard Halperin: Croke Park and Winifred Mc Nulty: Mahon. All were very well received and I though the delivery in all cases was very good. It was a very appreciative and attentive audience though there was a sense of the shade of W. B. sitting in a corner looking down his nose at the modern competition! I read my poem Townlands. It's always difficult to know how much of an introduction to give a poem and this time the introductions in general were quite short and effective. I decided to dispense with an introduction and I think that worked well. I enjoyed reading, I think it's a good poem for reading aloud. Does that mean it's a good poem. Don't know, don't care! Thanks to all who were involved in this competition. It was wonderful to be a part of it. The full list of poets commended and the winning poems are here. I'm not sure how this happened but one of my entries has been added to the iYeats Highly Commended list. Originally it wasn't there but I got an email saying that the judges were impressed with one of my entries and inviting me to read it at the prize giving. I said great, to be noticed at all is welcome! Then this week I got another email saying that the judges had decided to add the poem Townlands to the Highly Commended list. I'm delighted especially as sending that poem was based on the theme of the competition- A Sense of Place - and on reckoning that these two judges, Vincent Woods and Rita Ann Higgins (pictured) might just be the ones to recognise it as a slightly different take on the topic. The poem is basically a list of townlands in Sligo associated with my mother. It's composed of lines such as She was born in x x x, She's buried in x x x. You could write your own poem on the same pattern! It finishes with a few lines reflecting the narrow range of travel of most of her generation and contrasts that with what is now available to my generation. A simple concept which relies on the lovely townland names for its effect. I'm in good company in the list. Richard Halpern who appeared yesterday on the Welsh Poetry List is there as are Lizann Gorman and Mags Treanor who we have published in Boyne Berries, Shirley McClure who was a winner in the Kavanagh last year, Connie Roberts who got a Poetry Ireland Introductions slot this year and of course Jane Clarke who is the outright winner and also has a Highly Commended poem. Looking forward to the event in The Hawk's Well Theatre, Sligo on Monday. 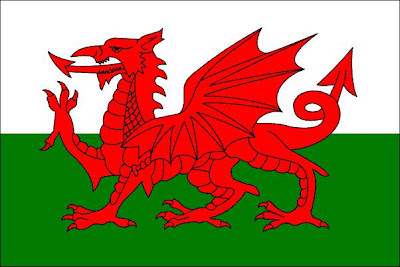 The results, winning poems and judges comments for the Welsh Poetry Competition are now online. Another entry fee wasted, well not really, the thrill of waiting, the hope of fame, the chance of a fortune! (OK that's enough, buy a lottery ticket instead!). As far as I can see the only Irish interest is the appearance of Richard Halperin's poem Mr Selvridge sketches at no 10. The specially commended poems are ranked 4 to 20, a nice touch not seen elsewhere. Richard has just published his first collection. His reading at the goldsmith Festival this year was impressive. He's also commended in the iYeats Poetry Competition. 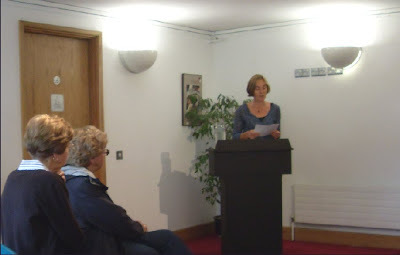 Our weekly poetry readings in the Knightsbridge Retirement Home have been going on now for some months. Three of us from the Boyne Writers Group spend 45 minutes each week there reading favourite poems to a group which varies between six and sixteen. The audience has actually increased as the weeks went by so we must be doing a reasonable job. In the beginning I was very careful about what to read, trying to choose favourite poems which the audience might be familiar with from school books etc. We found they they enjoyed these but that they are also very receptive to poems never heard before so now we feel freer in our choices. I enjoy reading poems with a bit of a story to them even if they're not the best poems in the world, such as some of Percy French's, obviously more familiar as songs. The Cremation of Sam McGee is a favourite of mine, great rhythm and rhymes and I love that touch of black humour at the end. It is a bit long so I read it no more than once a month. We sometimes get requests and usually can fulfil these straight away from the volumes in our bags. We were asked recently for some items from Shakespeare's plays - Friends, Romans, Countrymen and The Quality of Mercy. As you read these you realise how well written they are. Late July in the garden. Plenty of growth and foliage. 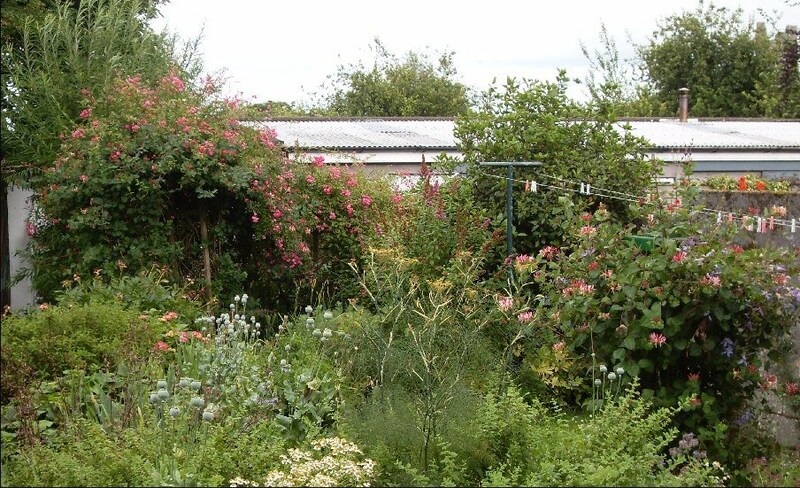 Colour supplied by rambling roses mixed with woodbine in the distance and woodbine and clematis in the mid distance. Willow in the far distance. In the herb garden the feverfew and the fennel are most conspicuous. Both grown for ornament rather than for their medicinal use. On the last Wednesday each month the Viaduct Bards is organising readings from local emerging and established poets and writers to read from their work at the Droichead Arts Centre cafe/bar in Drogheda between 7.30-9.30pm. Sean Nós Singing Session on afterwards at 9.30pm. I don't think any of my wonderfully sensitive poetic efforts would be suitable for this competition but the closing date isn't until October so there is time to come up with something suitably macabre. The entry fee is a little high but the prize reasonable and the winner gets to attend a banquet. This is the Bram Stoker Literary Challenge held in conjunction with the Stoker Dracula International Halloween Festival of Horror. The competition is open to everyone, everywhere! The scope of the theme field is just about limitless…..ghosts, vampires, banshees, death, blood, haunted houses, spooky graveyards, creepy bell towers, gruesome dungeons, horror castles, scary blood curdling noises, eerie nightmares, macabre happenings …. all can be real or imagined! 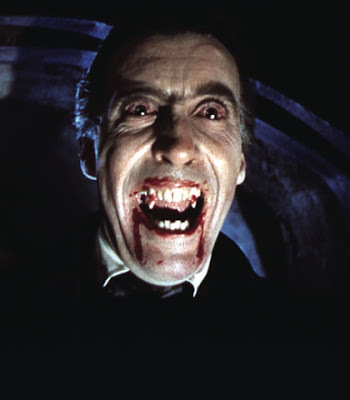 All entries must be in English and the theme must be gothic/horror with a maximum of 2000 words. Entries can be in the form of a prose piece, a short story, a poem, a play (drama) or even a song or ballad. There is a 20 euro entry fee per entry . Closing date for entries is 1st October 2010. More on the website. Labels: Bram Stoker Literary Challenge; Stoker Dracula International Halloween Festival of Horror. The winners of the iYeats poetry competition have been announced and the winning poems are available on the website. Highly Commended: Jane Clarke; Lizann Gorman; Richard Begbie; Mags Treanor; Shirley McClure; Connie Roberts; Diane Myers; Richard Halperin; Winifred Mc Nulty. Congratulations to all. I have been commended and highly commended in this competition at least twice. Maybe this is the year of victory! The awards night in Inchicore is always an enjoyable occasion. The Inchicore Ledwidge Society have pleasure in presenting the 12th. Francis Ledwidge International Poetry Award. Last year saw entries from America, Canada and the U.K. Poems must be the competitor’s own work not previously published or broadcast. Poems should not exceed 40 lines of type. Entry fee: €4 per poem, 3 for €10. Max. 6 poems (€20) payable to the Inchicore Ledwidge Society. Previous winners of The Francis Ledwidge Award welcome to try again. Winners will be notified and results will be announced at the annual awards night. So that's it. A great (well maybe not so great) day of sport over. Meath win an unexpected Leinster Championship. Someone told me at the bagpack that there were very few flags up in the county because no-one expected this Meath team to win. And then there was the goal. "Why is everyone against Meath?" someone asked me this evening. I didn't tell him. I came across a mother at the bagpack who had bought a Meath flag for her son. Her accent certainly wasn't Meath so I asked her. A Munster county, she told me, now living in Meath. "And do you support Meath?". She looked around and whispered "I hope to God they lose". And then Spain win. Or rather Holland lose. I remember Dutch total football and it wasn't a bit like this. The RTE soccer panel seemed to think that the English referee was terrible. Who would be a referee? Latest issue of Revival has arrived. I have a poem in it: High Noon. I'm trying to get away from Swift and Dylan but I remembered that my first line, There was this film I saw once, is a deliberate adaptation of a Dylan first line There was this movie I seen one time from his Brownsville Girl one of my favourite Dylan songs. This is a song from his 1986 album, Knocked Out Loaded, notable for its eleven-minute and five second length and for being co-written by playwright Sam Shepard. More here about it. Also in light of my Battle of the Books satire on my father poems I notice that my father has crept into my Revival poem. Lots of interesting stuff in Revival as usual including Patrick Devaney from LitLab, Miceál Kearney, Kevin Higgins, Sarah Lundberg, Knute Skinner and Richard Halperin who read at the Goldsmith Festival earlier in the year. Richard is also in the latest issue of Poetry Review. Just topped and tailed lots of blackcurrants - brought me back! Two evenings of charity bagpacking ahead! 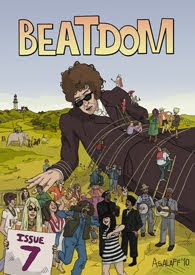 And the final word on the Swift/Dylan weekend must be this Beatdom magazine cover. One of the images of the Swift Festival captured by Paddy. 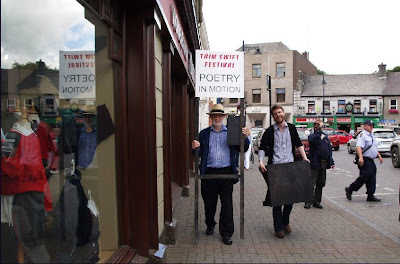 Moving between stations for the public poetry readings in the streets of Trim, myself and Dr James Ward, academic director of the Trim Swift Festival, Lecturer in the University of Ulster in Eighteenth-Century Studies, Literature and Politics in the long Eighteenth-Century; Jonathan Swift; Waste, Refuse and Rubbish in Literature; Adaptations and Appropriations of Eighteenth-Century Texts in Fiction and Film. The winning Meath Writers Circle team from the Battle of the Books 2010. Tommy Murray second from left also won third prize in the Swift Satire Competition organised by our group for the Trim Swift Festival. 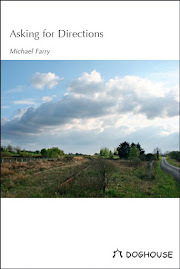 He also has a poem included in the just published Meath Anthology edited by Tom French. A good few weeks for Tommy! My own poem for the Battle of the Books was called Toilet Trained - A Typical Ulster Poem by Patrick Seamus Shortly, a satire on a certain type of poem of which we have read (and written) too many in this country. It praises a father for some action, habit, work practice and indicates how the son, the poet, is carrying on the tradition in his writing styles, themes, methods. Heaney's Digging is a good example. doing what had to be done resulting in lush crops all over the farm. The poet continues the work but the soft rich nuggets he drops are his poems. the old man-killing fries, fat and rich and fatal. Hard work to write but great fun to read. It got scores of two nines and an eight. After the rush to Thomond Park, a little while to settle, think back on the Battle of the Books Satire Competition and the Swift week-end then Bob comes on stage in his white hat and launches into . . . Satire!! Yes he started with his Leopard-Skin Pill-Box Hat. Oh dear, not more of that! Congratulations to Meath Writers Circle who won the Battle of the Books yesterday at the Trim Swift Festival. They defeated us by two points I think after a very exciting and close contest. Very good contributions by everyone and what was especially pleasing was the range of satire on offer. Well done to captain Tommy Murray, Frank Murphy, Jimmy Peppard and Mark Doyle. We will be back next year! Frank has pictures here and Tommy here. 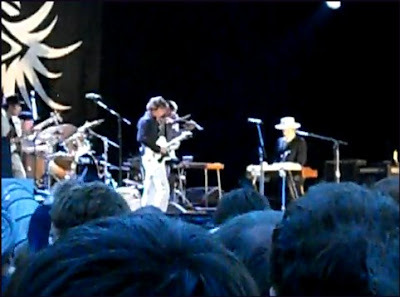 The Battle ran late so a dash to Limerick for Bob Dylan's fourth of July concert - the last of his present European tour. Made it with plenty of time to spare and enjoyed a great concert with some standout performances. Set list here. More later perhaps on both events. Home 2am - some work this morning. I attended most of the academic programme today. I love these lectures by established experts on Swift and/or Eighteenth Century History and Literature. This year's programme seemed to be different from last year's in having some non-Swift lectures, though most of not all managed to include a reference to or quote by Swift. One of the earliest lives of Swift written by the Earl of Orrey who claimed to be a friend but wrote a "warts and all" biography" which included this delightful piece: He (Swift) was sour and severe, but not absolutely ill-natured. He was sociable only to particular friends, and to them only at particular hours. He knew politeness more than he practiced it. He was a mixture of avarice, and generosity. (Daniel Cook, University of Bristol). Swift has been quoted a lot during the present economic collapse because he wrote a lot about banking and money and speculation and collapses. The South Seas collapse happened during his lifetime. It was argued that Swift knew little about economics and his aversion to new banking schemes and speculation had a political root. He was a conservative in these and other matters. 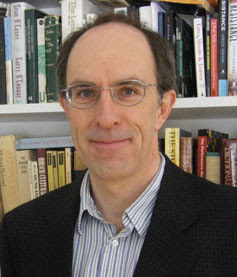 The Closing Address by Alan Downie, Goldsmiths, University of London (pictured above) entitled Disappointed Swift attempted to answer the question Why was Swift so angry? The answer the speaker suggested was based on the fact that his grandfather had been on the anti-Cromwell side in England and had lost status and money as a result. His father came to Ireland as a result and died before Swift was born. Swift felt cheated of his proper inheritance and deprived of the rights he would have had he been born to a well off family living in England. Last year after a similar day I promised myself that I would read more of and about Swift. As with most of such promises it went largely unfulfilled though I did read Gulliver's Travels recently - the full version, four books. So no promises this year but . . .
Today the Battle of the Books at 1pm. Our team is picked, the training done, the plans made the rest is in the lap of the gods. Then Dylan in Thomond Park. 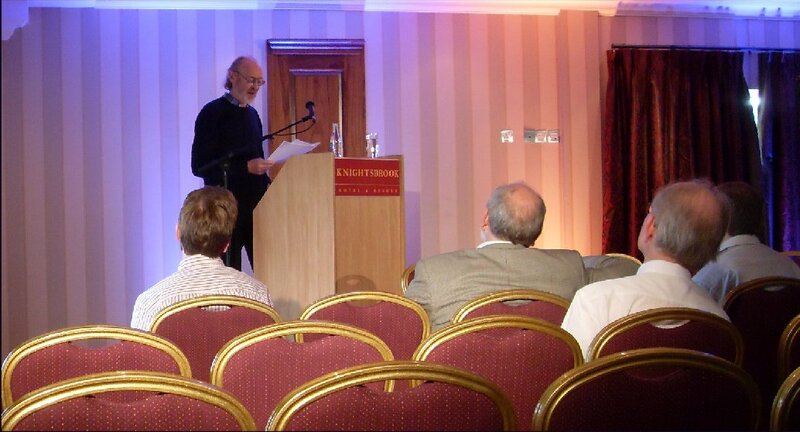 Three sessions of Poetry in Motion, static actually, yesterday in Trim. 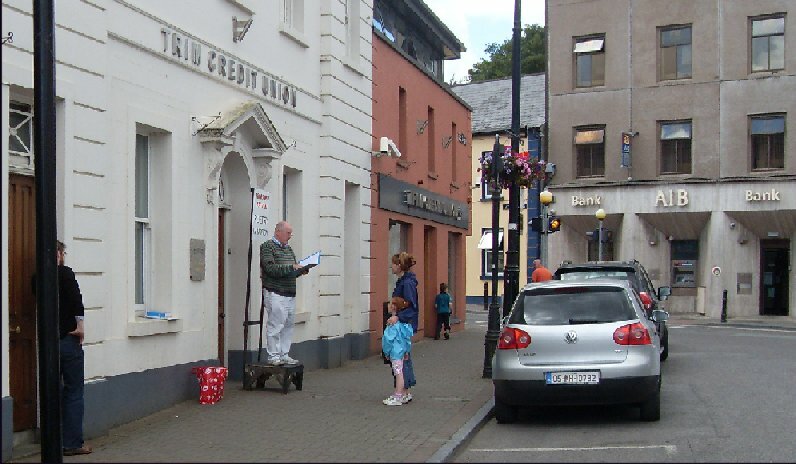 One session in the main street at noon, one outside the big supermarket and one in Lenehan's pub. I attended the first two but passed on the pub. Very enjoyable with lots of interested people stopping to listen to a poem or indeed to read one themselves. Paddy, the chief organiser, had a bag of poetry books with something to suit everyone. On of the highlights was Paddy doing the Friends, Romans, Countrymen speech from Julius Caesar to a heckling crowd of about ten would be unfriendly Romans outside Supervalu. Cars slowed down as drivers wondered. Picture is of Paddy reciting in Market St to a small be rept audience. I read some of the Verses on the Death of Dr Swift by the Dean himself. Also recited by heart Yeats' The Lake Isle of Innisfree. 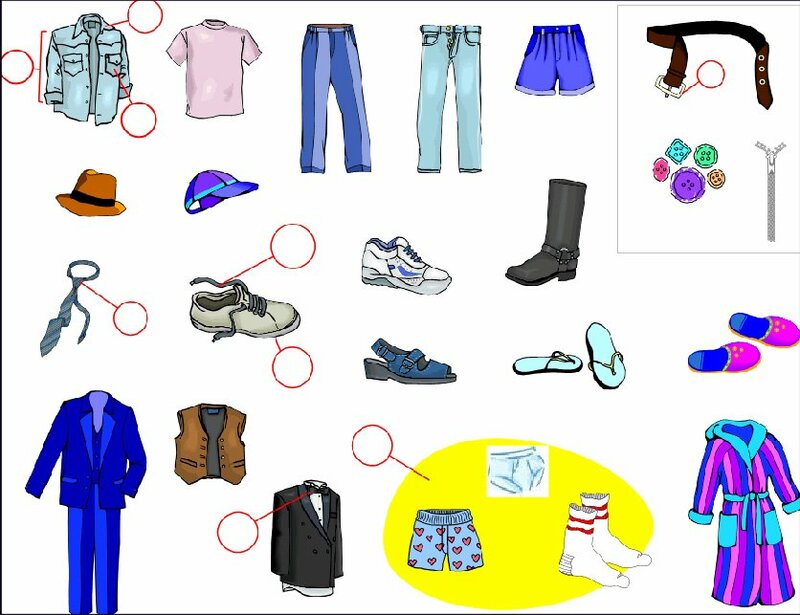 What one learns in primary school is most likely to be remembered. More Poetry in Motion tomorrow at 12 noon and at 3pm. Lots of alternative events take place all day for those not interested in the academic. Check the website. Should be a good day. The official opening of this Festival last night was an enjoyable affair. A great mixture of the academic, the official and the ordinary. It was held in the very impressive new headquarters of the Office of Public Works in Trim. The building is either a great example of official overspending during, or a wonderful legacy of, the Celtic Tiger years. Speakers included the chairman of the Town Council Trevor Golden, the chairman of Meath Co Council Willie Carey, the academic director James Ward, the local government minister Noel Dempsey and the star of the night, Professor Andrew Carpenter of UCD, an eighteenth century scholar (OK that came out wrong but you know what I mean). 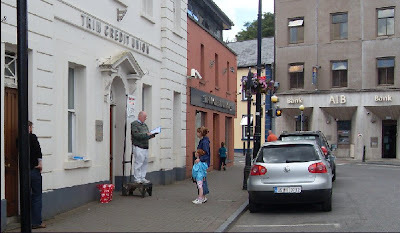 Andrew gave a witty rousing address which ranged over Swift being a Tory rather than a Whig and therefore against such building as the OPW headquarters, the delight in handling a completely hand-made eighteenth century book, Trim as the satire centre of Ireland, and Swift attitude to the men's toilets in the building. The night continued with the final of the Stand Up Row in the Malt house. I didn't attend but am told that the house was full, the contest exciting and that The Steps pub team won in a close contest. James Ward the academic director of the Festival was a judge and I'm told some of his marking was quite severe. He is also a judge at The Battle of the Books on Sunday. Some of the opposition Meath Writers Circle were there last night looking very confident and talking of secret weapons. Wait until they see our secret weapons! Two of their members Frank Murphy and Tommy Murray were shortlisted in the Swift Satire Competition and Tommy won third prize. So they have a lot to be confident about. Today during the day we have short poetry reading in the streets. I've just been asked to read some poetry by Swift there so I'm looking at the Verses on the Death of Doctor Swift and finding a manageable piece. Tonight sees one of the highlights: An evening with Alastair Campbell and other media and political figures. Confirmed guests are: Senator David Norris, John Waters, Noel Whelan, Minister Dara Calleary, Terry Prone, Senator Dan Boyle, Fergus Finlay, Dan O’Brien, Deputy Leo Varadkar, Brendan Keenan, Danny McCoy and Deputy Joanna Tuffy. The results of the Swift Satire Competition were announced at the official opening of the Trim Swift Festival tonight. Poem: Love Amid The Construction. Fin Keegan, Westport, Co Mayo. Prose: The Best of Times, the Worst of Times. Poem: A Time when we were Inclined . . . The judge, John Murray of RTE said: "My choices were based on two main criteria - simplicity and creativity. The other entries, I felt, were a little confused, and meandering. There was very little in it between the top two but what decided it for me ultimately was the extent to which the two entries addressed the subject, and in this, Love Amid The Construction emerged the winner." The first prizewinner, Ira Nayman, is a comic writer/performer/cartoonist. His Les Pages aux Folles Web site is a showcase for his political and social satire, among other things. His two books in print, Alternate Reality Ain't What It Used To Be and What Were Once Miracles Are Now Children's Toys contain a unique form of humorous science fiction journalism. The latest issue of Limerick based poetry magazine Revival is being launched tonight at the Locke Bar (upstairs in the Loft Venue) at 8.00pm! All Welcome. I have a poem in this issue, the title poem of my High Noon series of poems. I'm delighted but disappointed not to be able to go down and read at the launch. The reason? The official opening of the Trim Swift Festival is taking place at 7.30 pm this evening with a champagne reception in the new OPW Headquarters in the town featuring Professor Andrew Carpenter, Minister Noel Dempsey and a number of surprise guests! It will also include the announcement of the winners of the Swift Satire Competition judged by RTE radio presenter, John Murray - update here later. Later this evening at 9.30 pm the Grand Final of the Standup Row pub competition will take place in the Malt House Pub, Athboy Gate, Trim. The contest is between The Steps and Lenihans.